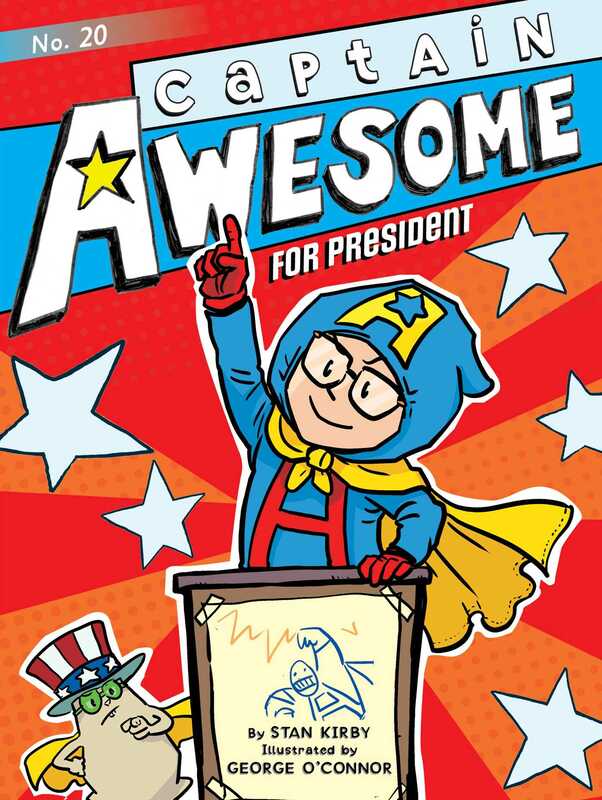 In the twentieth Captain Awesome adventure, Eugene decides to run for class president! After much thought (actually, really not that much), Eugene has made a big decision. He’s decided to run for class president! But there’s a hitch. Meredith Mooney, a.k.a. Little Miss Stinky Pinky, has also decided to run! Since Eugene can’t reveal to his classmates his identity as Captain Awesome, he has to figure out some other way to prove to them that he’s the one for the job! Gym class could be a scary place for a superhero. It was one place where their awesome powers could accidentally be revealed—if they jumped just a little too high, or ran just a little too fast. Just like that time in Super Dude No. 46 when Super Dude, the world’s Dude-iest superhero, nearly revealed his secret identity as he fought the evil Boing-Boing on his Trampoline of Jump Scares. What’s that you say? You’ve never heard of Super Dude, the star of the greatest comic books and graphic novels in the history of comic books and graphic novels? Super Dude and his colorful adventures were an inspiration to Eugene, Sally, and Charlie—and the reason they formed the Sunnyview Superhero Squad. “Be careful,” Eugene whispered to Charlie and Sally as they entered the gym at Sunnyview Elementary. “And I’m Nacho Cheese Man!” Charlie announced as he pulled out a travel-size can of spray cheese. “Shhhhh!” Sally and Eugene whispered at the same time. Sometimes their superfriend wasn’t very good at keeping his supersecret. He pointed to Eugene. “Your captains will be McGillicudy and . . . Mooney.” He pointed to Meredith, who was dressed in a bright pink dress and matching shoes and socks with a pink ribbon in her hair. “Yes! I’ll be the best captain!” Eugene said. “Well, I’ll be the better captain.” Meredith stuck out her tongue. The two captains stared at each other in a glare-down as Coach Bean picked the students for the teams. Must. Keep. Eyes. Open, Eugene thought. He was determined not to blink first. But his eyes! They burned! Maybe this was all part of Little Miss Stinky Pinky’s evil plan to win the game. Eugene blinked. Drat! Little Miss Stinky Pinky may have won this glare-down, but she wouldn’t win the dodgeball war. Eugene rubbed his eyes and surveyed his team. There was Wilma Eisner, Jane Romita, Howard Adams, Sally, and . . .
Where was Charlie? Eugene glanced at the other side of the court, where his best friend waved sadly from the other team.